It’s 2028 and you’re walking out of the Rock & Roll Hall of Fame Museum in Cleveland, buzzing about Taylor Swift’s third divorce when you realize you only have 45 minutes to meet your friend for pizza in Chicago. Where did the time go? However, you’re not worried. You can just walk over to the new hyperloop station and be in Chicago in less than a half-hour. As you get to hyperloop central, there’s a long line of people waiting to board. But you don’t even break a sweat—with a capsule leaving every couple minutes, you’re seated in a comfy chair and moving in no time. As the capsule accelerates up to speeds of 769 mph, slightly below the speed of sound, you check out the augmented windows to keep track of your journey and access the high-speed Internet. Before you can finish the Breaking Bad episode you were watching, you’re stepping out in windy Chicago, ready for some deep dish pizza. Welcome to a future made possible by the mind of Elon Musk and the entrepreneurship of Dirk Ahlborn—innovator, keynote speaker, and CEO and Co-Founder of Hyperloop Transportation Technologies, Inc. 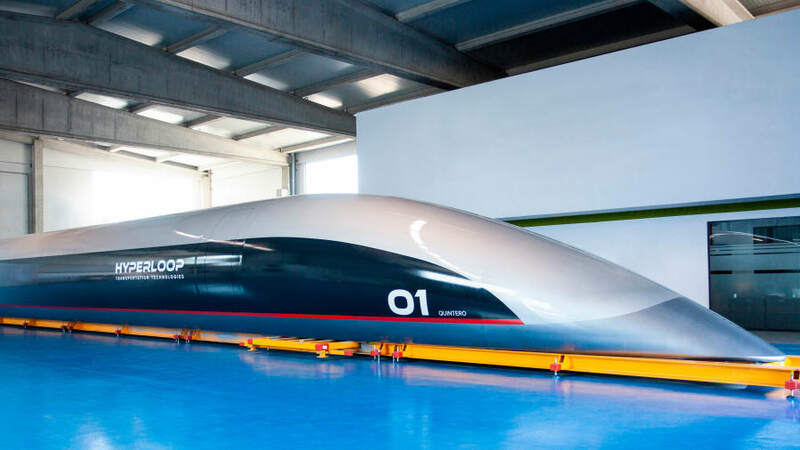 Since its founding, HyperloopTT has set up headquarters in Toulouse, France, employed more than 800 people worldwide, created the framework for ensuring the industry with Munich Re, reached three commercial agreements for Hyperloop technologies (in China, Ukraine, and Abu Dhabi), and has started development in China Spain, UAE, and France. You don’t have to look into a crystal ball to see safe, high-speed travel is in your future. Hyperloop is where airplane speed meets ground-level transportation. By using a network of low-pressure tubes, built on pylons or placed underground, Hyperloop will be able to transport thousands of people hourly between cities in maglev capsules, cutting travel times down from hours to minutes. Your days of complaining about air traffic delays are numbered. Unlike other public train transportation systems, Ahlborn says Hyperloop will be profitable because of its low energy cost and minimal environmental impact. Solar panels on the outside of the tubes will provide the electricity needed to propel the capsules in a frictionless tube environment. Due to its innovative and high-tech design, the system will be silent, emission-free, and almost completely automated, saving on labor and environmental costs. While it will take years to perfect and build the hyperloop tracks to transport people between cities, by using crowdsourcing, Ahlborn envisions the challenges of hyperloop travel will be overcome much more quickly. And with the interest of multiple countries, there is no shortage of funding for the project. However, with much work to do, we probably won’t see the first hyperloop stations in major cities until the late 2020s. Hyperloop is just the latest of Ahlborn’s world-changing projects. A serial entrepreneur, he has been instrumental in the development of several startup companies, including Advanced Turbine Designs, Inc., a developer of natural-gas-fueled gas turbine generators for combined heat and power and the web portal JumpStarter, that uses crowdsourcing from idea to funding to create smarter and more successful companies. The building of the Hyperloop is one of Jumpstarter’s first and most well-known projects. HyperloopTT uses the crowdsourcing of Jumpstarter to bring the brightest minds and the best investors together. The aerodynamic design for the Quintero One was contributed by PriestmanGoode design consultancy. 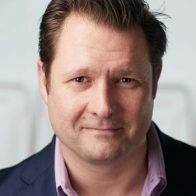 In addition to changing how we travel, Ahlborn is also an engaging keynote speaker, who gives exciting talks on innovation, disruption, crowdsourcing, and entrepreneurship.